The United States is a nation where citizens closely guard their right to own, possess, and bear arms. However, despite the Constitutional rights enshrined in the Second Amendment to the U.S. Constitution, the right to carry a gun or firearms is not absolute. 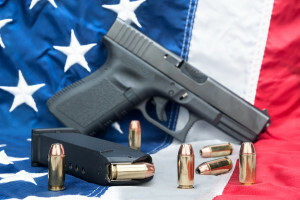 In fact, there are many New Jersey and federal laws and statutes that restrict the right to carry and possess not only certain types of firearms, but other weapons as well. While in some instances there may be an outright ban, in other circumstances the individual’s rights and obligations may be more nuanced. In any case, the failure to understand the gun and weapons laws of New Jersey can lead to a nightmare of criminal and other charges. One who fails to heed New Jersey’s notoriously strict weapons laws, may find themselves facing a lengthy prison sentence, forfeiture of firearms and weapons, and significant monetary fines. Depending on the nature of the alleged crime and the individual’s circumstances, additional informal consequences such as the stigma of an arrest may be realized. However, if you are facing weapons charges in New Jersey you don’t have to go it alone against experienced criminal prosecutors. The weapons charges defense attorneys of the Law Offices of John J. Zarych have more than 45 years of combined experience. They can fight aggressively and strategically to force the prosecutor to prove each and every element of the case beyond a reasonable doubt. Our team of criminal defense lawyers and legal professionals is dedicated to protecting the freedom and reputation of our clients. New Jersey is a diverse state. In the northwest and southeast, the state is relatively sparsely populated. However, in the Philadelphia, New York, and Atlantic City metro areas the state is extremely densely populated. Unfortunately for gun owners in the state, it seems that legislators are quick to pass tough laws that will result in felony charges and possible incarceration for many well-meaning but misinformed gun owners. A machine gun is defined to include assault weapons and traditional machine guns. Possessing an unlicensed handgun, antique handgun, air gun, shotgun, spring guns, rifles, and other weapons “not manifestly appropriate for such lawful uses” is illegal. Penalties under New Jersey’s gun laws are extremely harsh. They can range from a fourth degree crime to, in the case of using a gun to commission a felony, a second degree crime. That is, if one merely possesses a weapon while committing another felony, means that additional felony charges can be tacked-on. 2C:39-4.1a holds that it is a crime to possess a firearm or other weapons while also engaging in or attempting to engage in a drug crime. However, consider the hypothetical scenario where a police officer stops a vehicle due to some suspected crime or wrong-doing. During the course of the stop, a firearm is found in the vehicle. While a vehicle occupant may not expect to face criminal charges merely because a gun was found in the vehicle he or she was occupying, it is a real possibility under NJ law. Under these circumstances possession of the weapon is presumed on behalf of all occupants unless an exception applies. That said, there are some exceptions to New Jersey’s strict weapons laws. Our attorneys can work to ensure that the charges alleged against you are appropriate. We work to protect your rights. The criminal defense attorneys of the Law Offices of John J. Zarych have more than 45 years of combined experience defending criminal matters such as weapon and gun charges. To schedule a free consultation at one of our offices, call (609) 625-3006 or contact us online today. Our offices are located in Atlantic City, Cape, May, Wildwood, and Northfield.